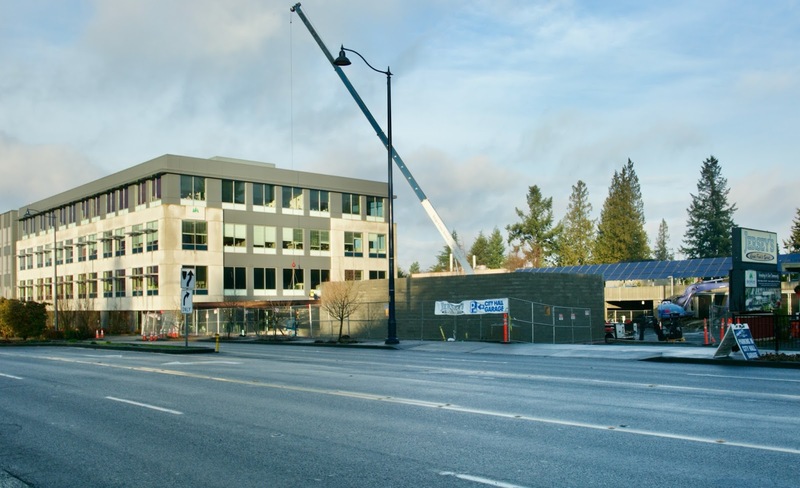 A crane towers over the construction site for the new Shoreline Police station, which is being built as an addition to Shoreline City Hall. The large building is City Hall - the street is N 175th. The sign for Jersey's Great Food sports bar can be seen on the far right.